Come experience an unforgettable wine tasting tour with Silk Road Transportation. Travel the breath-taking country back roads in comfort and style. From Solvang to Santa Ynez to Los Olivos, you will enjoy stunning scenery and landmarks on your way to the region’s best wineries. We will pamper you while you enjoy the “inside scoop” of the best wineries in the region. Sit back and relax while we drive you and your guests around the beautiful Santa Ynez Valley for a one-of-a-kind wine tasting experience. 4 person minimum required for new vehicle to start unless space available in shared vehicle. Door-to-door professional & knowledgeable transportation service. Vehicle used will be based on group size and determined by tour operator unless limo or party bus upgrade option selected by customers. Your choice of wineries or specially crafted itinerary including full vineyards & private wineries. Catered picnic lunch w/ Great Mediterranean & Veggie/Vegan & Gluten Free options available. Menu will be emailed for selections. Santa Barbara & Santa Ynez Valley pick ups/drop offs. Please see table below for pricing. 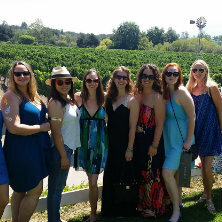 Last weekend I had the pleasure of experiencing a Silk Road wine tour for my birthday with 4 of my friends. Every aspect of the day exceeded our expectations. From the time of booking, Ozzy was incredibly friendly, helpful and informative. Anne, our guide on the day of the tour, was so lovely in every way. She really did everything she could to make sure we were all comfortable and having a great time. I will absolutely recommend this to anyone I know traveling to the area. And I will definitely be back myself - when I do, they will be the first call I make. Thank you so much Silk Road! You all really made my birthday a very, very special day! A fun-filled night awaits! 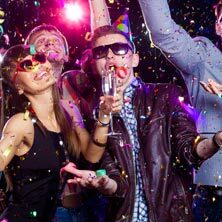 Whether it is in the Santa Ynez Valley, Solvang or Santa Barbara, Silk Road Transportation is committed to getting you and your friends to the party or concert, and back, safely and affordably. 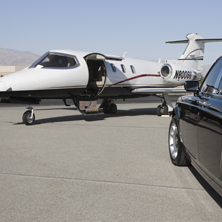 Call now to request a quote on all of our transportation services & options. Planning a special event is difficult enough without having to consider limousine and transportation services for you and your guests. Our special events packages include worry-free and safe reliable transportation to your next special event. From weddings to graduations, from parties to celebration of life services, we've got you covered.